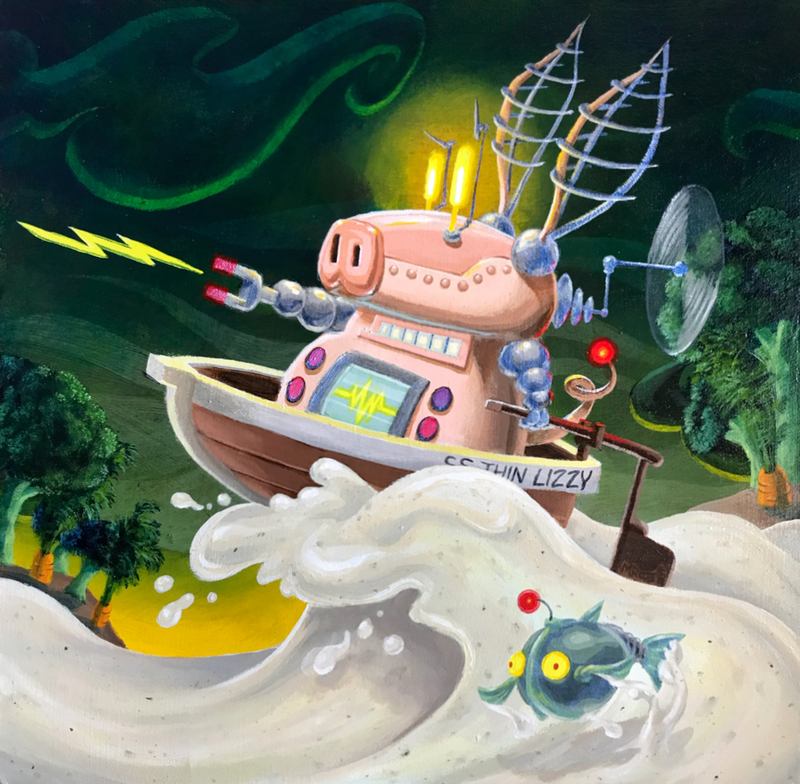 Yes, it’s an old-timey robot pig sailing on an ocean of ranch dressing. This was a one of a kind acrylic painting created as a gift for a friend’s new girlfriend. True story: I had started the painting around the time when my friend and I took an atv ride. I ended up in an accident which resulted in a broken drawing hand. Four years later I finished and delivered the painting. . . the night before my friend’s wedding to the same girlfriend.